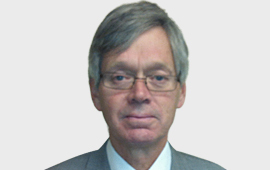 John is a graduate of University College London and was admitted as a Solicitor in 1977. He is a court specialist and has appeared in the Magistrates Court; The County Court; The Crown Court; The High Court; Employment and Benefits Tribunals. He began his career when litigators had to be prepared to appear in all varieties of cases. Gradually he became a specialist in Family and Employment law and more recently in children cases. He still has ambition to add to the long list of courts where he has been an advocate. The outer limts at the moment include Exeter, Brigton, Bury St Edmonds, Newcastle, Carlisle, Aberystwyth, Swansea and Bristol. John looks forward to future appearances in a court near you !